This is my first post based on the latest edition of the PMBOK Guide. I managed to get a soft copy of the Fifth Edition as part of the PMI member benefits. If you are still preparing for the PMP exam based on PMBOK Guide Fourth Edition, then this article may not be applicable to you; there are only 9 knowledge areas in PMBOK Guide Fourth Edition. The 47 project management processes identified in PMBOK Guide Fifth Edition are grouped into 10 knowledge areas. 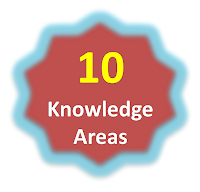 A knowledge area basically refers to an area of specialization like Time management or Cost management. 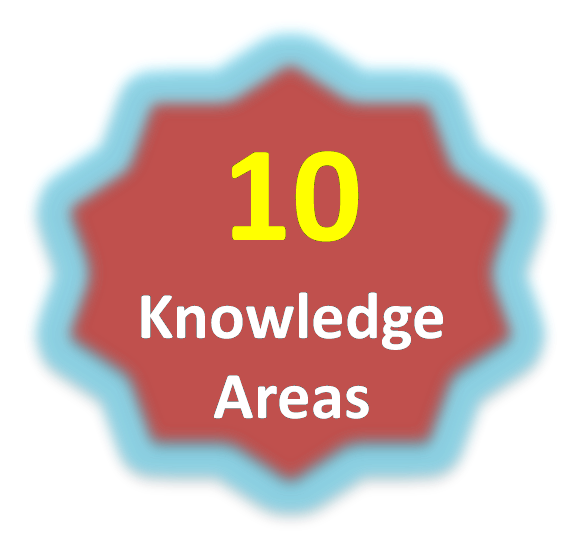 The knowledge area includes a set of concepts, key words and activities specific to that particular field of project management. As you can see, the last knowledge area "Project Stakeholder Management" is the latest knowledge area to be included in PMBOK Guide Fifth Edition. 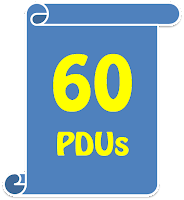 As you may know, it is a requirement to earn 60 PDUs (Professional Development Units) over a period of 3 years to maintain your PMP credential. While it may seem a huge task at the beginning, its not so difficult after all. I could easily accumulate 60 PDUs without spending too much money on it. 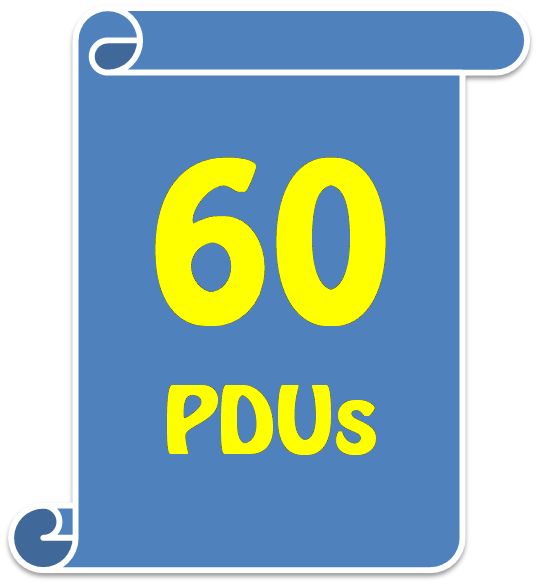 I managed to complete the required 60 PDUs; in fact, I have earned 7 excess PDUs which I can carry forward to my next 3-year cycle. So, how did I earn these PDUs? 10 PDUs Free from IIL (International Institute for Learning) for attending the Virtual Conference held as part of the International Project Management Day 2012. In fact, I could have earned 15 PDUs; but, I could not find time to watch 30 videos required for the 15 PDUs. 17 PDUs from PMI Chennai Chapter, by attending the regular monthly knowledge sharing sessions and the Annual General Meeting (AGM). I became a member of the PMI Chennai Chapter in February 2012; their knowledge sharing sessions are very useful to earn PDUs. I would recommend you to become a member of your local chapter. Considering one knowledge sharing session per month, you could easily earn 24 PDUs per year. So, you need not think any other source beyond this for your 60 PDUs. 18 PDUs for attending India's 4th annual Project Management National Conference held in Chennai. I got my company to sponsor me for this event; so, I did not spend any money for earning these 18 PDUs. But, on hindsight, I would not have regretted if I had registered for the Conference from my own pocket. You rarely get a chance to attend such huge conference right at your door steps. 16 PDUs for attending a two days course on project management. This course was sponsored by my former organization in Singapore. So, that's how I earned/ accumulated my required PDUs. Most of them falls under Category A: Registered Education Provider/ PMI Component. I only spent for the PMI membership and the $10 fee for the PMI Chennai Chapter membership. How about you? How do you go about accumulating your PDUs? My PMI membership is coming up for renewal in February 2013. The good news is that I would be eligible for a lower PMI annual membership fees based on the Economic Exception Pilot Program. What is this Economic Exception Pilot Program? PMI is testing whether offering a lower membership fees would increase the retention rate of the PMI membership. The regular membership fee is US$129 whereas under the Economic Exception Program you need to pay only US$65. That's almost a 50% discount from the regular membership fees. The program is applicable only to existing PMI members from Brazil, India, Mexico and Nigeria. New members are not eligible for this discount. They still have to fork out the full fees. What is the downside of this Economic Exception Program? Economic exception membership rate of US$65 includes all rights and privileges provided through the PMI regular membership. The only difference is that your membership publications will be delivered electronically to your e-mail box rather than hard copy publications. If you prefer to receive hardcopy publications sent to you via postal mail, then you still have the option to retain your regular membership at the price of US$129. I took the PMI membership when I was preparing for the PMP examination; simply for the fact that there was no obvious advantage of taking the PMP exam as a non-member. Once I cleared the PMP exam, I was not actively using any benefits of the PMI membership. So, I did not renew my membership when it expired after the first year. This is the period when I shifted from Singapore to India. And I was occupied with more important things like getting settled down in my new company, new job and new project; don't forget that I was away from India for about 15 years. The family also needed time to settle down in a new place & so on. So, you get the point that I had no intention to renew the PMI membership. This is the period when I got an e-mail from PMI seeking an appointment to discuss & get the feedback about PMI. I agreed and an appointment was fixed for the survey through telephone. The survery call lasted close to about an hour. I could sense that the survey was mainly to find out why I did not renew my membership. So, I told them the reasons why I took it & why I did not renew it. I also pointed out that it was easy to pay US$129 in Singapore. But, in India, it looked a big amount to spend (US$ has to be multiplied by 55 when it comes to INR). Probably they got similar comments from majority of members from India. Ok, cut short. Back to the present. I am getting my membership renewed soon with the economic exception discount. What is your opinion on this program? Will you take this offer? Share your views in the comment box or at our facebook page.